Parkison's disease ravaged Grandpa Allen ( Arthur Allen Sr.) in his last years. 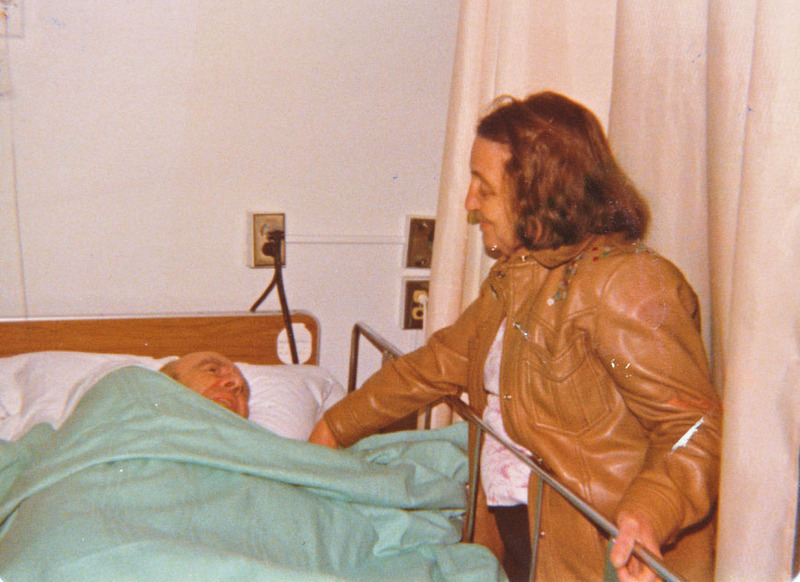 He spent his last days at Brockport Nursing home where he died on July 17, 1979. This photo shows his daughter (Margaret Allen Cook) visiting him sometime earlier that year. Although it is sad to see Grandpa Allen so sick, this photograph is a good one of Mom.